An outstanding example of ancient Roman figural relief sculpture—an impressive marble wellhead (or puteal) of the second century A.D.—that was recently acquired by The Metropolitan Museum of Art is now on display. The sculpture once covered a well in Ostia, the port town of ancient Rome. The ancient sculptor masterfully carved the wellhead from a single block of marble, effectively transforming a utilitarian object into a luxury piece of the highest order. Featuring two cautionary tales about water from Greek mythology, the narrative relief seamlessly combines the legend of Narcissus and Echo with the tragic story of the abduction of Hylas by nymphs. Of the some 70 Roman marble wellheads with relief decoration known today, The Met’s is one of the finest and the only one whose iconography relates so directly to water. Narcissus and Echo are probably best known to the modern public from the description in Ovid’s Metamorphoses. In the story, a spurned lover of Narcissus curses him to love himself as he has been loved—that is, to love without obtaining his beloved. While on a hunt, Narcissus sees his own face reflected in the water and is smitten. The wellhead’s image of Narcissus is particularly dramatic: entranced by his own reflection in the water, his long locks of hair flow in the rushing water, while Echo sits behind him, hopelessly in love. In the Argonautica, an epic poem by Apollonios of Rhodes, the handsome hero Hylas is fetching water when he disturbs the dance of water nymphs, and one of them—love-struck—pulls him into the water, and he disappears. The same story appears in Roman Imperial wall painting, where, as here, several nymphs are typically involved. The composition on the wellhead may stem from a famous, now-lost Hellenistic painting. The wellhead—which measures approximately 41 inches (104 cm) in height and 26 inches (67 cm) in diameter—was excavated in 1797 under the direction of the Irish painter and antiquarian Robert Fagan (1761–1816), in one of the last private excavations on papal lands. At the time of its discovery, the so-called “Fagan Puteal” was celebrated as one of the most beautiful Roman sculptures of its kind. Fagan secured an export license from the Vatican to send it to England in 1801. Its publication by the Italian scholar Giuseppe Guattani in 1805, illustrated with detailed drawings, announced its existence to the scholarly world. In subsequent decades, its location became unknown to scholars. Acquired by the Eighth Earl of Weymss before 1853, it resided at Gosford House in Scotland for generations before its acquisition by The Met. 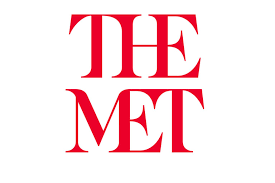 In 2020, as part of the 150th anniversary of The Met, the wellhead will be featured in an exhibition that will take a close look at the sculpture’s remarkable history and iconography. The display is organized by Seán Hemingway, John A. and Carole O. Moran Curator in Charge, Department of Greek and Roman Art. Conservation is by Dorothy H. Abramitis, Conservator, Department of Objects Conservation.